Take a minute and think about your website’s traffic. Maybe it’s not where you’d want it to be yet. Now, turn your thinking to your company’s social media channels. Traffic on social can be pretty high and you know all the tricks to bring more followers in. 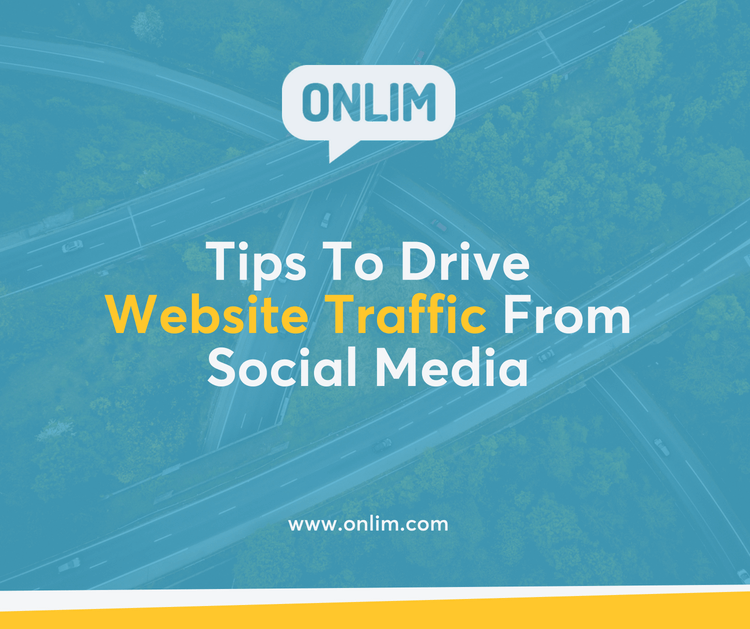 How can you drive website traffic from social media? After all, your site is where the money’s made. It’s where your sales happen and where followers convert into loyal customers for your business. This is what so many business owners and marketers wring their hands at every single day. Good news for you is that we have this figured out for you! Below are some actionable tips that are going to help you drive all that social traffic to your website. No matter what industry you’re working in, content marketing is king. Those companies that have mastered the art of content marketing see about 7.8 times the amount of traffic to their websites than companies without a solid content marketing plan. Your social media followers want content. That’s why they discovered your business and continued to follow you in the first place! If you give them content to devour, they’re going to make their way to your site. However, you can’t just put out any old content. Make sure that your blog posts, e-books, and other pieces of content are relevant to your industry. Search through the blogs of your competitors. See what kind of content they’ve been creating. Use Google Trends to determine what your customers and potential customers want to know more about! From there, you’ll know exactly what your followers are craving! Here some more tips to set up a successful content marketing strategy. Right, so you know what kind of topics you’re going to writing blog posts about. However, is it shareable? Can your followers easily send your posts to their friends, their grandma, their coworkers? If not, there are some easy WordPress plugins you can install to create easily shareable content via social media. Plus, you won’t even have to pay them! This is any easy tip that you can put into action as soon as you finish reading this article! Make your website link viewable, everywhere that you can think of. Get weekly updates, tips and tricks just like that in your inbox. On every single social platform, you have the ability to add a link in the bio for your followers to see. For example, right in your Instagram bio, you can change the link based on what content you’re promoting. Or you can add a link to your latest and greatest items on your Facebook profile. Check through all of your social platforms and ensure your link is viewable. Think back to the latest post on your company’s Instagram feed. What other uses does that piece of content have? Could you write a blog post about the topic of that photo or video? Or a whole blog post series? Maybe you can write an e-book. Or create a campaign on Facebook with that piece of content as the basis. Heck, you can even share that same post on Pinterest or LinkedIn if it’s relevant to those platform’s followers! When it comes to content marketing, one of the keys to success is repurposing your old content onto your social media calendar. If you’re always stretching for new content, it’s time to look back on your old content and see how you can make it new again. If you’ve ever struggled with driving social traffic to your website, then you’re not alone! You’re working at the same issue faced by every single social media marketing specialist out there. However, use the tips outlined above and you’re surely going to see a regular migration of your social followers to your website. And from there, hopefully a spike in sales!